Harzone Industry was built in 1967, one of the subsidiary units of China Shipbuilding Industry Corporation (CSIC), a state-owned and protected military company. Over the past four decades, the leaders of both the Party and nation have been caring for the growth of the company. Chairman Mao underlined the documents for the factory establishment. Later, ZhangAiping., one General, and Chen Shiju, one commander, inscribed name for the company. In 2008, Mr. He Guoqiang, Standing Committee of Political Bureau of CPC Central Committee, Secrrtary of the Discipline Inspection Commission of CPC Central Committee had paid a visit to the company and inspected the workshop and saw the erection of the mechanized bridge, who also encouraged the company to develope well. Righe now, the company has one research center in Wuhan, which is the national degree, one trading center in Beijing, one manufactuing center in Chibi, three offices in Gana, Ethiopia and Peru. 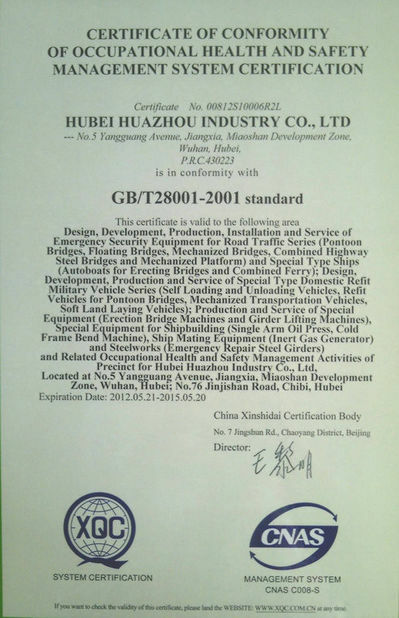 Harzone Industry has enjoyed a proud history, it must also create a bridge future. Harzone Industry has established scientific and technical R&D centers and quality inspection centers at a high standard. ERP is introduced to effectively control the enterprise resources and automate the operational flows. 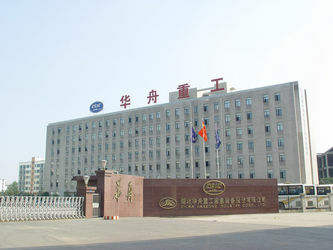 Large-sized digital processing center is introduced. 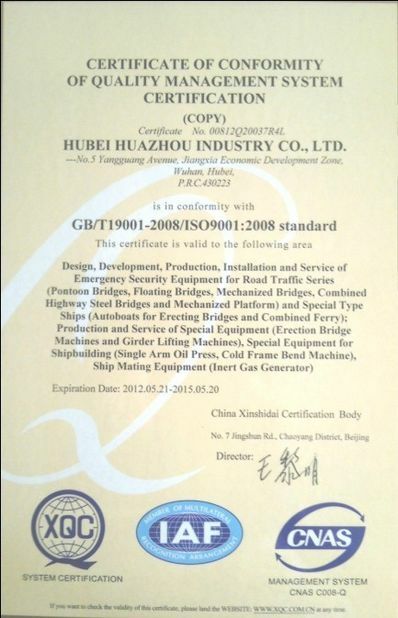 Five professional production lines of pontoon bridge, mechanized bridge, assembled highway steel bridge, ships matching components and special vehicle refitting and set up. 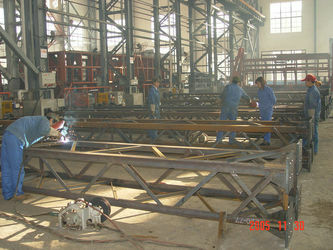 The company also has the qualification of design, manufacturing and installation on pontoon bridge, mechanized bridge, ships and traffic safeguard equipment, steel bridge, metal structural part, special equipment, power transmission tower, television tower, radio tower, microwave tower, communication tower, urban rail and steel pole of contact line of electric railway. The trading center has 27 personnels in Beijing, who are specialized, energetic and expertized in the bridge constrcution, steel structure field and project contracting. Wiht our enthusiasm, earnest and specailization, we wish to provide the best service and products. 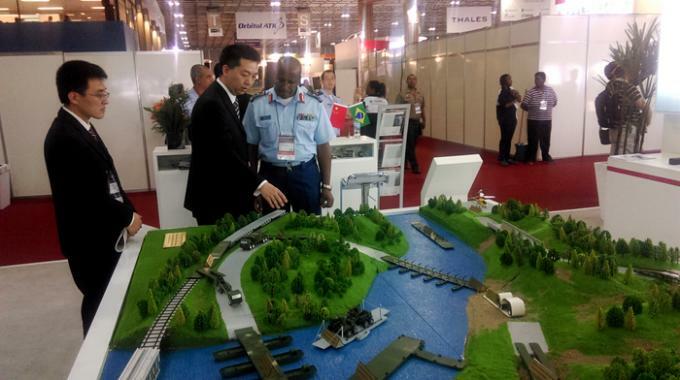 The South American Department has participate the LAAD 2015 in Rio de Janerio, Brasil. 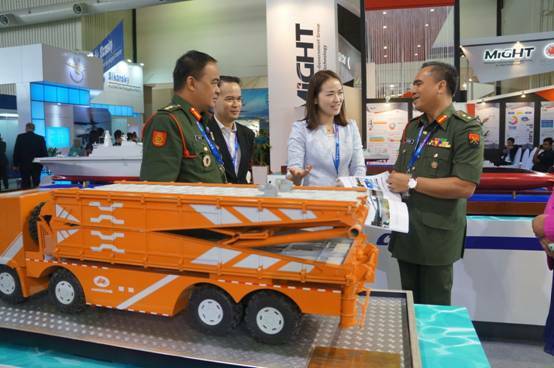 The Asian Department has participate the Langkawi Exhibition in Malasia, 2015.